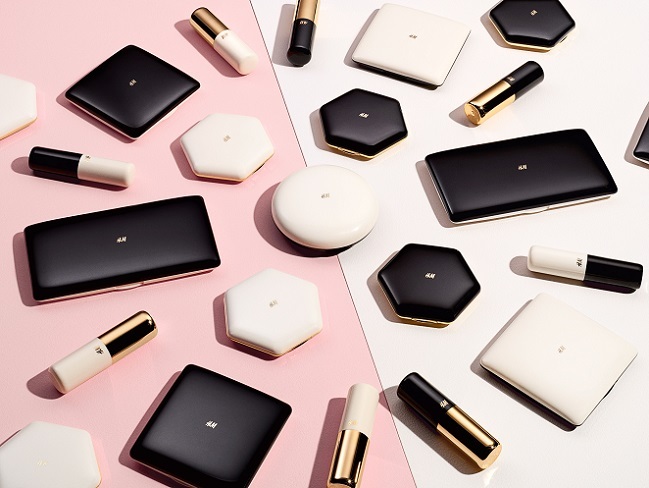 H&M’s new range of beauty products is now arrived in the 2 flagship stores in Hong Kong. The much-anticipated launch includes a comprehensive selection of make-up and colours as well as bodycare and beauty tools. Fashion is at the core of the make-up line, which will cover all the latest trends as well as classic beauty looks. 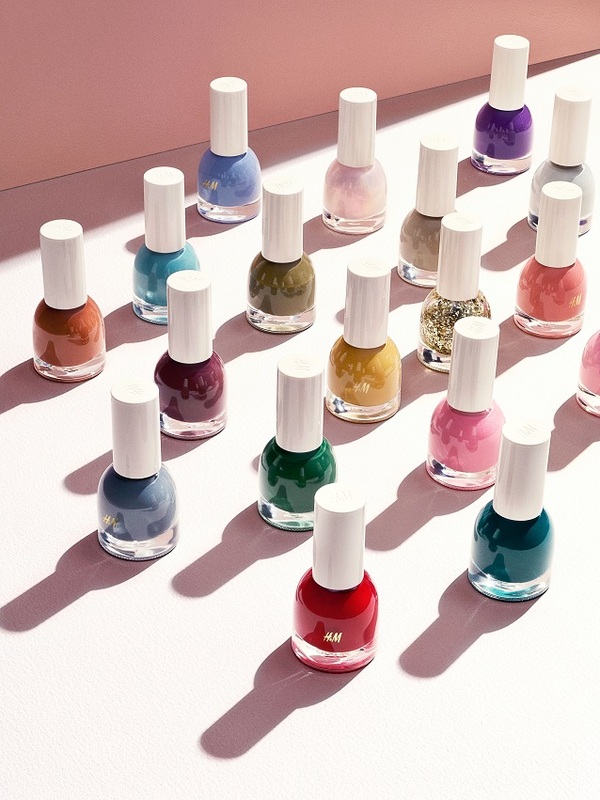 “This is a complete range with everything in it to create any look imaginable with colours and textures for a classic, natural or a high fashion aesthetic. 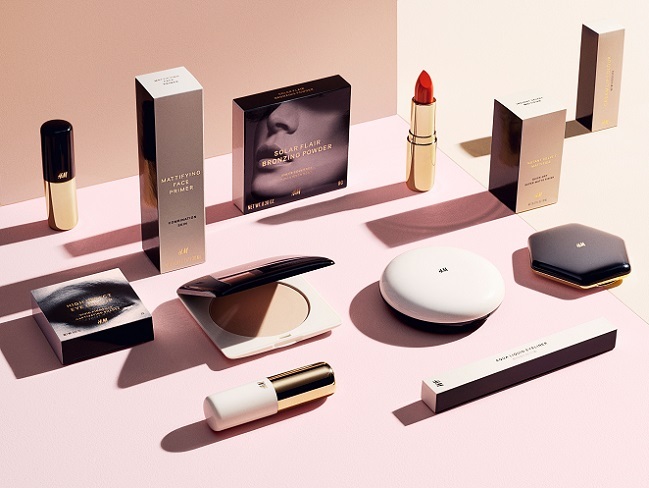 Quality was one of the most important factor in creating the range and we are very excited that the products now are available in stores,” says Sara Wallander, concept designer at H&M Beauty. 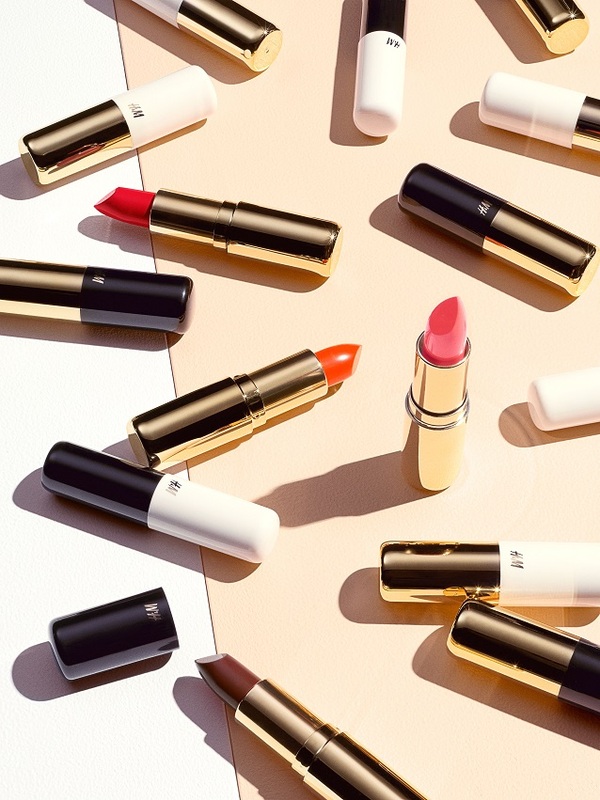 Make-up is a way to show personal style and at the new dedicated beauty areas in H&M stores, there are endless possibilities with the colours, textures and looks. There are 50 colours for lips, 80 colours for eyes and over 180 colours for nails. All skin tones are catered for with a full range of bases and concealers. The range is not just about make-up. There are bodycare and a complete range of make-up brushes and beauty tools. There are beautifully designed make-up and toiletries bags and a full range of hair brushes. Ecocert is the internationally recognised independent body that sets the standards and agrees certification for organic and natural products. An Ecocert stamp means that the products meet the highest standards. For organic Ecocert certification, which the H&M conscious beauty range has, the products must have at least 95% of the total ingredients from natural origin (water included) and at least 10% of the total ingredients are from organic farming. Two subsidiary collections: a premium bodycare line and a ‘Conscious’ range of Ecocertapproved sustainable products will also be available. 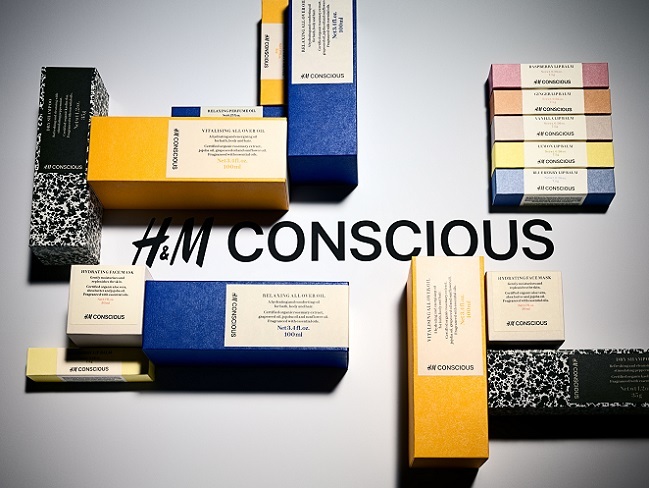 ‘Conscious’ line include lip balm to body washes and shampoo as well as hand cream, dry shampoo and innovative products such as pre-shampoo hair oil. The products are in contemporary packaging and recyclable materials. The plastic in the primary containers is made from recycled material.